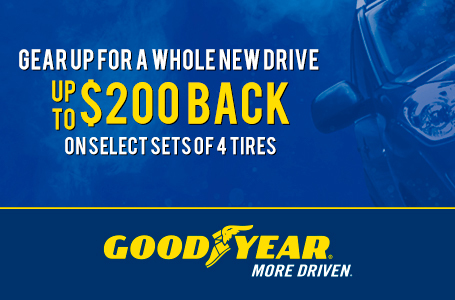 UP TO $200 BACK ON SELECT TIRES Double your rebate with the Goodyear Credit Card. tire rebate amount, per additional tire, is 25% of the tire rebate amount listed above. The minimum purchase is a set of four tires and the maximum purchase is six tires per invoice. Offers available only at authorized participating U.S. Goodyear Retailers and websites. Offer valid only for U.S. residents who are individual consumers with mailing addresses in the U.S. and U.S. territories. Commercial fleets are not eligible for these rebates. Not valid on previous purchases. Base portion of rebate offered by Goodyear and bonus portion of rebate offered by Citibank, N.A. To be eligible for the bonus tire rebate, purchase must be made on the Goodyear Credit Card. Subject to credit approval. The Goodyear Credit Card is issued by Citibank, N.A. This completed form must be postmarked no later than April 30, 2019. Allow 6 to 8 weeks for Prepaid Card delivery. Goodyear reserves the right to substitute a check of equal value in lieu of a Prepaid Card at its discretion. Fraudulent submissions will not be honored and may be prosecuted. Sponsor is not responsible for noncomplying rebate submissions or for lost, late, illegible, postage-due or undeliverable mail. Noncomplying rebate submissions will not be honored, acknowledged or returned. Void where taxed, restricted or prohibited by law. All decisions made by Goodyear (or its authorized representatives) relating to the validity of any submissions are final and binding. This promotion is subject to all federal, state, and local laws and regulations. Retain copies of the materials you submit. details. To check the balance of your Card or receive the terms and conditions, visit https://login.wirecard.com/goodyearrebates or call 1-800-522-7458. AMF Tire located in Boca Raton, FL has been your local trusted tire and automotive service since 1985. 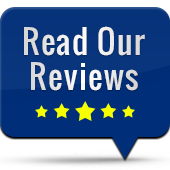 If you need tires from trusted brands like Michelin®, BFGoodrich® or Uniroyal® or a service shop you can trust, Steve and Frank can help!